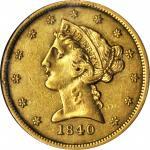 Lot:3052 1854-O Liberty Head Half Eagle. Winter-1. AU-55 (NGC). 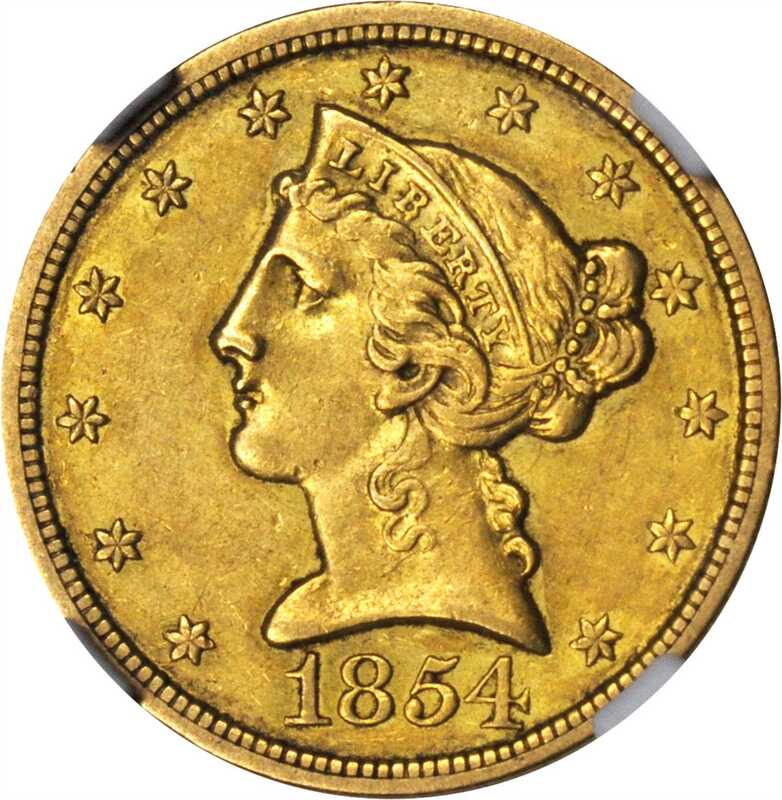 1854-O Liberty Head Half Eagle. Winter-1. 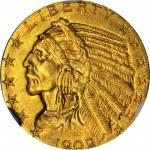 AU-55 (NGC).Handsome honey-olive patina blankets both sides of this boldly struck, appreciably lustrous Choice AU. An uncommonly smooth and high grade example from a mintage of 46,000 pieces, survivors of which likely number no more than 300 coins at all levels of preservation.